Nautica Arcobaleno is specialized in sale, brokerage and management of motoryachts. Daria Tomassetti is the chief administrator; she has been in the nautical industry for 20 years and in 1999 became licensed YachtBroker. The wide knowledge gained in the yacht market allow us to provide our customers with a well rounded service. We help our customers to find the suited yacht for them and the best offer available on the market; we assist in the purchase and in the after sale service. It has often occurred that our customers, being satisfied with our service, come back to us after a while, when they decide to sell their boat we sold them and buy another one. We aim to stand out for professionalism, transparency, reliability and be a landmark in the international motoryachts market. We sell yachts either directly to european and international customers or through leading YachtBrokers with offices all over the world. Nautica Arcobaleno is also chartered n. 195 in the licensed shipbrokers corporation in Italy. 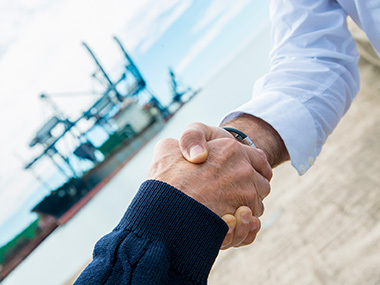 solutions for the management and the maintenance of vessels at the most reasonable prices. BROKERAGE - we are able to assist our customers to handle unexpected matters arising from the sale negotiations; the broker's skill gained over hundreds of sales is crucial for the success of the deal. YACHT EVALUATION - a yacht market expert is useful to evaluate the right price of your yacht according to the current market; it surely makes you save time. TECHNICAL SURVEY - we provide our customers with the best qualified marine surveyors when they require it. 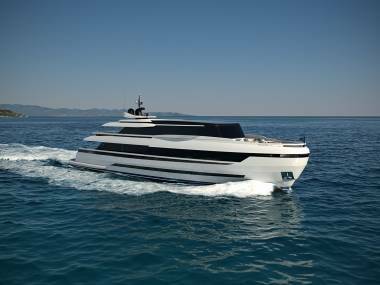 FINANCING AND LEASING - a motoryacht is a particular product. That is why it is very important to rely on financial marine experts that perfectly know the demands of yacht owners, for example the resaling needs. YACHT MANAGEMENT - Nautica Arcobaleno thanks to a network of strong partnerships and assistances with services of maintenance, refitting, shipyards and storage boatyards is able to provide right solutions for the management and the maintenance of vessels at the most reasonable prices.